Look Absolutely Stunning With A Dress From Ideal Bridal & Dry Cleaning! 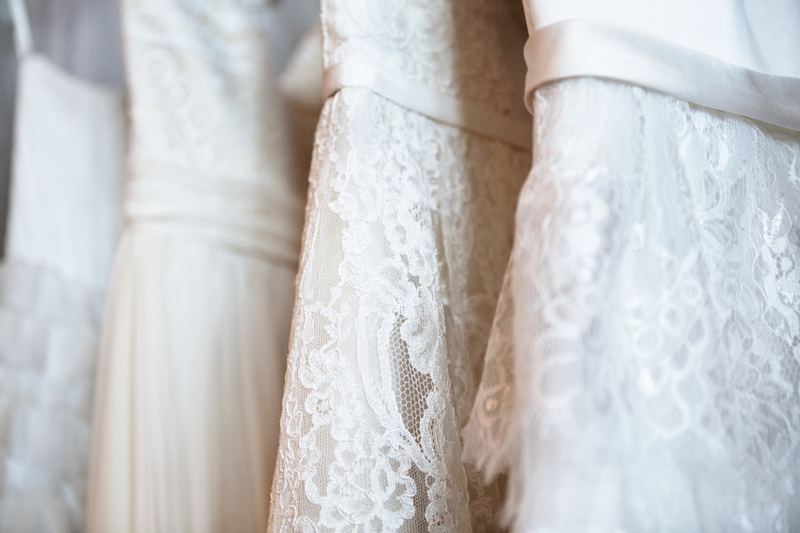 Here at Ideal Bridal and Dry Cleaning, we have over 25 years of experience with custom dresses, gowns, tuxedos, tailoring, alterations, and last but not least - dry cleaning. We have a vast selection of wedding dresses and gowns to choose from so that you'll look absolutely beautiful. Your wedding is one of the most important days of your life, and you'll remember the gown your wore for the rest of your life. That's why we offer popular designer selections, as well as our own unique brand - so it doesn't matter if you're looking for a custom dress or not, we can help you find the best fit. Over our years of service, we have earned a reputation for excellent service, craftsmanship, and attention to detail for each and every client. We do our best to make sure you look your best. 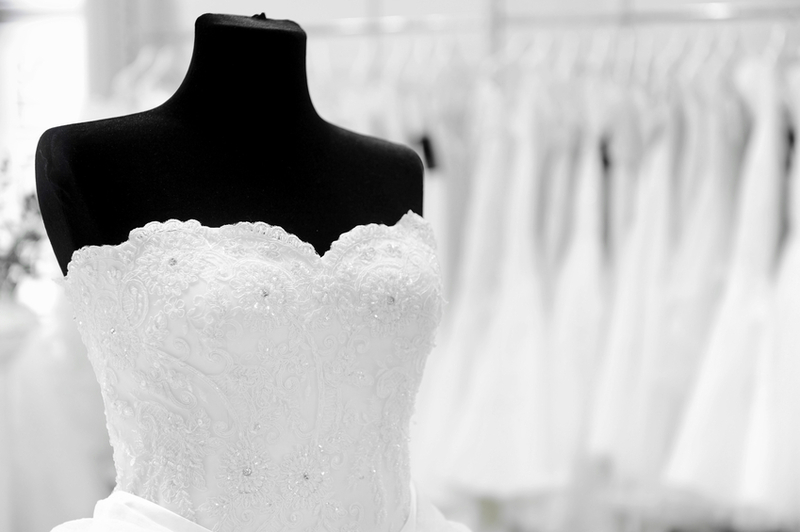 So, why choose Ideal Bridal and Dry Cleaning? Choosing a wedding gown can be a difficult decision, especially one that fits into your budget. That's where we come in. We specialize in finding you a unique gown from around the world - one that you can't find anywhere else - at an affordable price. Not only that, but we also carry our own comprehensive and customizable inventory of luxurious and stylish dresses in our Livonia shop. And if the dress isn't a perfect fit, we like to think of ourselves as custom tailoring and alteration experts, so you won't have to worry about the fit at all. You'll be choosing from dozens of styles, lengths, fits, and accessories to help design a custom wedding look that's all your own! No two brides or weddings are the same, and our personalized custom collection will help to satisfy a range of styles. We Can Outfit Your Entire Bridal Party Too! When it comes to picking the dresses for your bridesmaids, there are many different options like the color, fit, design, length, etc. Ultimately you need a dress selection that will compliment you and your wedding. Whatever style you want or can think of, we have many different options to choose from. Our dress selection coupled with our expert tailoring and alterations will ensure that whatever style you choose will look absolutely flattering on each member of the bridal party. 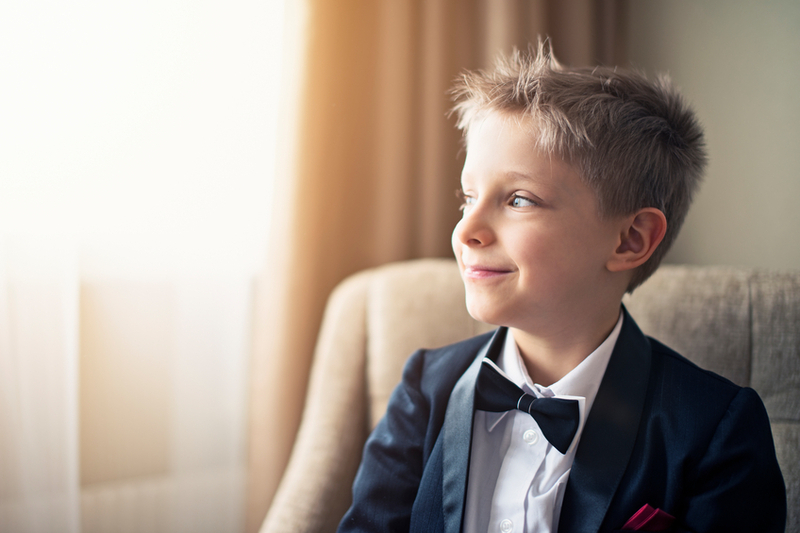 Here at Ideal Bridal and Dry Cleaning, we have a wide selection of tuxedos for rent or purchase, so you'll be looking sharp for your big day. We know that your tuxedo needs to first represent your personal sense of style, but also compliment your wedding and the bridal party. We're a licensed and official provider for Jim's Formal Menswear, meaning that our selection is not only vast but also stunning. Your wedding day is one of the most important days of your life, you'll want to make sure you're looking good. Whether you're attending a prom, reunion, wake, ball, formal, or any number of other special events, we're sure to have the affordable options you need to look your best. Even at short notice, we can provide custom tailoring and alterations for any of our many suits and tuxedos, and we have the choices you need to look great at any event. "I recently purchased a jacket and dress online from China. To my horror the dress portion was large and the jacket was so small I couldn't even put it on. From the moment I walked into Ideal Bridal the reception I received was genuine, and the service has consistently been wonderful. I now have a gorgeous dress, that I was previously prepared to throw away, and I have a new seamstress. The location is convenient, and so are their hours. The prices are fair, and the results are miraculous." "Hazel, thank you so much for all of your hard work and patience with my wedding dress. Everyone loved it -- especially me! I loved (and my bridesmaid appreciated) how easy everything was. You are an amazing person and I am so lucky to have worked with you. Thanks again!" If you're interested in more information about our wedding dresses for your Northville wedding, contact us today. We're here to ensure that you look as stunning, and your wedding is as beautiful as you've always imagined it was. Don't hesitate, the big day seems to come faster than it seems!